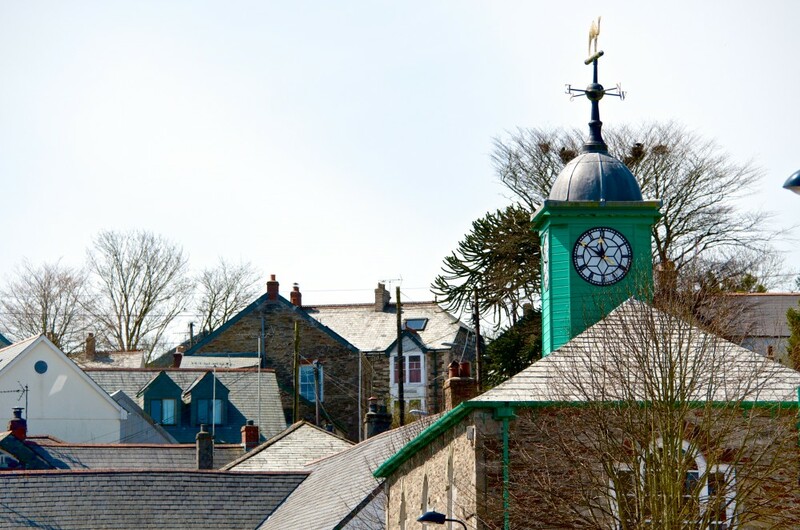 Camelford has an intriguing history: a planted market and borough town; a particularly notorious ‘rotten borough’ returning two members to Parliament until disenfranchised after the 1832 Reform Act; a small commercial centre for a predominantly rural population; and finally, from the later 19th century, a tourism centre for enjoying the Moor, the north coast and ‘King Arthur’s country’. 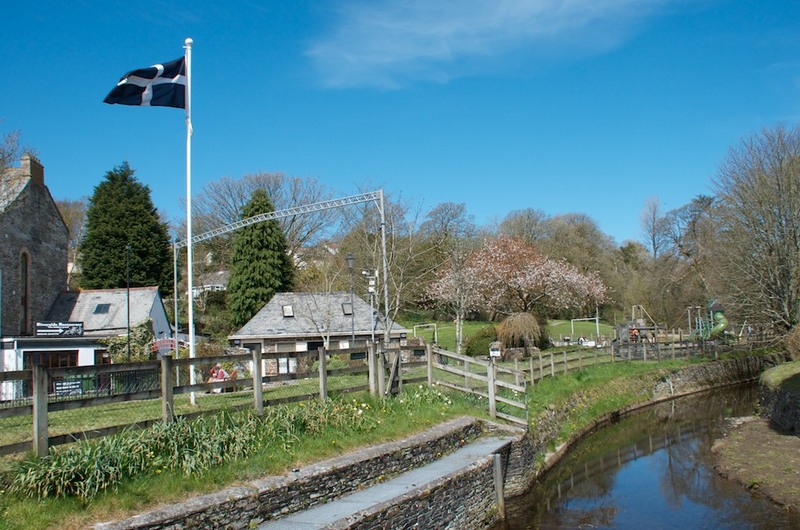 The place-name Camelford, first recorded in the early 13th century, contains the Cornish elements camm ‘crooked’, and alan, a common Celtic name for a river. The English suffix ‘ford’ was probably added later, presumably when the settlement developed around a crossing point on the river. The earliest reference comes in an Arthurian romance (by Layamon)and several romantic Arthurian connections have been maintained in and around the town through much of its subsequent history (Camelford as Camelot; Tintagel as Arthur’s birthplace and castle; Slaughter Bridge as the scene of his death etc). Extensive archaeological evidence of early prehistoric activity on Bodmin Moor, later prehistoric settlement in the lowlands around Camelford (mainly in the form of rounds — enclosed hamlets), and then a full early medieval landscape of hamlets with Cornish names, many in Cornish, ‘tre’ (‘farming estate’), indicate a long history of settlement in the vicinity. The routeway that is now the A39 follows ridges to the north of the town and valleys to the south and is likely to have been an important early topographical element in this part of Cornwall. 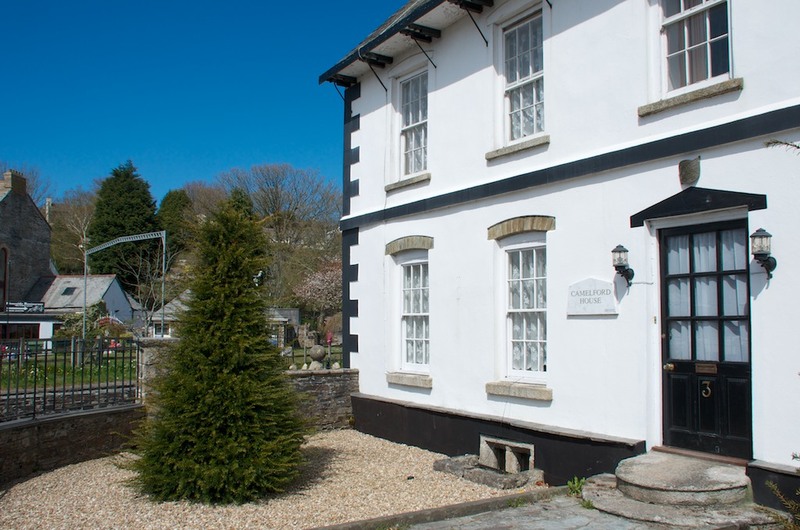 Its crossing point on the Camel would have been the original focal point of what seems, from its well-defined strip field system, to have been a typical Cornish farming hamlet. There are references in medieval Duchy records to farmland being held in ‘Kamelford’.Camelford is not specifically mentioned in the Domesday Book of 1086, being at that time just another part of the large manor of Helston, later part of the Earldom and then Duchy of Cornwall. Nor was it chosen as the site for an early Christian establishment; instead a lan (early Christian enclosure) and then a later medieval parish church were constructed at Lanteglos well over a mile away to the south-west. Helston-in-Trigg was one of the Earldom and then Duchy of Cornwall’s most important ancient manors and it is thus one of the best-documented medieval landscapes in Cornwall. We can read much of its two 13th century deer parks to the south and west of Camelford and of the hamlets and mills scattered through the countryside. There may have been an economic imperative to the creation of a third market and borough so close to nearby Boscastle and Tintagel at a point on a major highway and more centrally placed in productive countryside that included the great commons of Bodmin Moor (with its thousands of cattle and sheep). But, again it must be suggested that it was probably only because the place was part of the estate of a powerful Earl who was the King’s brother and who had his power-base in nearby Launceston that such a new town came into being at Camelford, rather than nearer Warbstow Bury or Hallworthy.